Insurers are often hesitant to pay policyholders for legitimate claims – even when the policyholder clearly had no fault in causing the accident. Insurers may actually look for reasons to reduce or deny valid car accident claims. Insurers’ goal is often to protect their profits by limiting payouts on accident claims. As a result, don’t give your insurer any reason to try to undercut or deny your claim. Instead, follow these tips to safeguard your rights to compensation. TIP 1: Call your insurer as soon as you can after the car accident. Car insurance policies can have specific time limits associated with how soon after an accident policyholders have to call insurers and alert them that an accident has occurred. While it’s ideal to know such details of your policy, if you don’t, make sure to call your insurer as soon as you can after a motor vehicle accident to report the wreck to your insurance carrier. Of course, there may be some factors that prevent you from calling your insurer immediately (like, for instance, if you are seriously injured and are hospitalized). However, as soon as you are able to, call your insurer. TIP 2: Only discuss the facts of the accident. When you call your insurer, you will likely be asked to make an official statement about the collision – and these statements are often recorded by insurers (your insurance company should inform you of this prior to recording your statement). As you make an official statement – or at any point when talking to insurers about the car accident, it’s crucial that you only discuss the facts of the accident. This means that you should specify details like when the accident occurred (i.e., the day, date and time) and where the accident took place (i.e., the address or specific location). Additional facts to discuss with your insurer will typically also include who else was involved in the collision, the visible damage to your vehicle and whether you received emergency medical care after the accident. 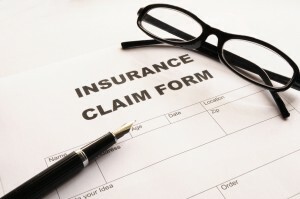 TIP 3: Provide your insurer with all of the info/evidence you have from the accident. Keeping records of your interactions with insurers can be important to protecting yourself. Here are some more tips for dealing with insurers after car accidents. If you were able to collect insurance information from other motorists involved in the car accident and/or you took pictures of the damage, make sure you get this information and evidence to your insurance company. This can help facilitate your claim while backing up your statements about the accident. It’s important to point out here that you should always keep the copies of all of the documents, photos, information and evidence you have provided to your insurance company. While insurers may lose this evidence, they may also try to claim that they never received it – so protect yourself by keeping copies of everything. TIP 4: Keep notes about every conversation you have with insurers. Any specific info an agent told you regarding your claim. These records are generally easiest to keep track of in a journal or binder. This can also be a good place to keep copies of all mailed documents your insurer has sent you. Although you may never need to use these records, if you are involved in a dispute with your insurer over your claim, having such evidence can be critical to helping you get the payout you deserve. TIP 5: Don’t accept or admit blame in the car accident. Whenever you are speaking with insurance company agents, make sure that you do not ever accept blame or admit to having caused (even partially caused) the accident. Such admissions can be extremely detrimental to your claim because they may be used to try to reduce your payout or even potentially deny your claim altogether. TIP 6: Don’t accept a denial of your claim if you know you didn’t cause the accident. Insurers may deny your perfectly valid car insurance claim after conducting their investigation. It’s important that you don’t take this denial as the last word in your claim. You have the right to challenge the denial, and you definitely should if you did not cause the car accident. In fact, even if you partially caused the accident, you may still be entitled to compensation for your claim and, therefore, should not stop pursing it just because an insurance company says your claim has been denied. TIP 7: Hire a lawyer to represent you and deal with your insurer. Help you obtain the full amount of the insurance settlement that you deserve. If you or a loved one has been injured in a car accident and are preparing to contact your insurer to get your claim started, don’t try to deal with your insurance company on your own. Instead, contact the Boulder car accident lawyers at Cederberg Law. At Cederberg Law, you will not be handed off to a paralegal or assistant. You will receive personal attention and professional service from an experienced lawyer who cares about you and who is dedicated to providing you with superior legal services at every stage of your case. Call us at 303-499-0449 or email us using the form at the side of the screen to learn more about your rights and schedule a free, no obligations initial consult with our attorneys. In addition to offering contingency fee options, our lawyers make hospital visits to ensure that you have access to the legal support you need – whenever you need it.